PALMDALE – The city of Palmdale’s popular Family Movie Nights will return to the Palmdale Amphitheater for four Friday evenings this summer featuring family favorite blockbuster hits. Coming to the Amphitheater’s screen will be The Lion King on July 6; Despicable Me 3 on July 13; The Little Mermaid on Aug. 3; and Coco on Aug. 10. Tickets for Family Movie Nights are $4, with kids 12 and under admitted free. Tickets are available beginning at 5 p.m. on the day of each movie, cash only. Children 12 and under must be accompanied by an adult. Parking is free. The gates open at 6 p.m. and the movie starts at dusk (when it’s dark enough for the movie to be seen on the screen). Attendees are encouraged to bring a lawn chair or blanket to sit on. Moviegoers also may bring a picnic dinner and non-alcoholic beverages to Family Movie Nights (all bags and coolers will be checked at the gate). Snack vendors will be on-site. Free family activities will be available from 6 to 8 p.m. while supplies last. The Palmdale Amphitheater is located at 2723 Rancho Vista Boulevard. The Lion King follows the adventures of the young lion Simba (Matthew Broderick), the heir of his father, Mufasa (James Earl Jones). Simba’s wicked uncle, Scar (Jeremy Irons), plots to usurp Mufasa’s throne by luring father and son into a stampede of wildebeests. But Simba escapes, and only Mufasa is killed. Simba returns as an adult to take back his homeland from Scar with the help of his friends Timon (Nathan Lane) and Pumbaa (Ernie Sabella). Rated G.
In Despicable Me 3, the mischievous Minions hope that Gru (Steve Carell) and his wife Lucy (Kristen Wiig) will return to a life of crime after the new boss of the Anti-Villain League fires him. Instead, Gru decides to remain retired and travel to Freedonia to meet his long-lost twin brother for the first time. The reunited siblings soon find themselves in an uneasy alliance to take down the elusive Balthazar Bratt (Trey Parker), a former 1980s child star who seeks revenge against the world. Rated PG. In Disney’s The Little Mermaid, rebellious 16-year-old mermaid Ariel (Jodi Benson) is fascinated with life on land. On one of her visits to the surface, which are forbidden by her father King Triton (Kenneth Mars), she falls for a human prince. Determined to be with her new love, Ariel makes a dangerous deal with the sea witch Ursula (Pat Carroll) to become human for three days. But when plans go awry for the star-crossed lovers, the king must make the ultimate sacrifice for his daughter. Rated G.
Academy Award winner for Best Animated Feature Film, Coco is the story of young Miguel (Anthony Gonzalez) who dreams of becoming an accomplished musician like his idol Ernesto de la Cruz (Benjamin Bratt), despite his family’s generations-old ban on music. Desperate to prove his talent, Miguel finds himself in the stunning and colorful Land of the Dead. After meeting a charming trickster named Héctor (Gael Garcia Bernal), the two new friends embark on an extraordinary journey to unlock the real story behind Miguel’s family history. Rated PG. 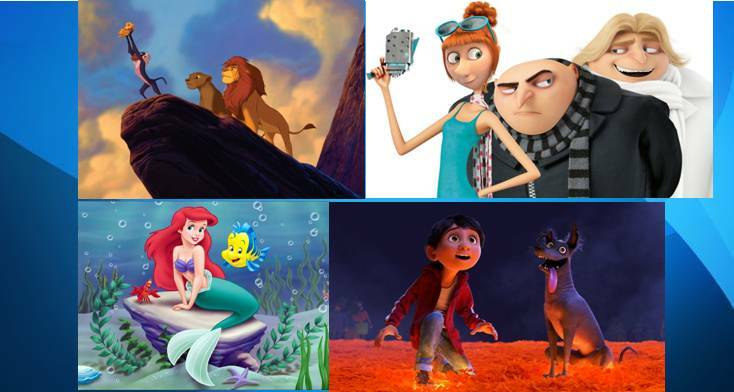 For more information on Family Movie Nights, visit www.PalmdaleAmphitheater.com or call 661-267-5611.